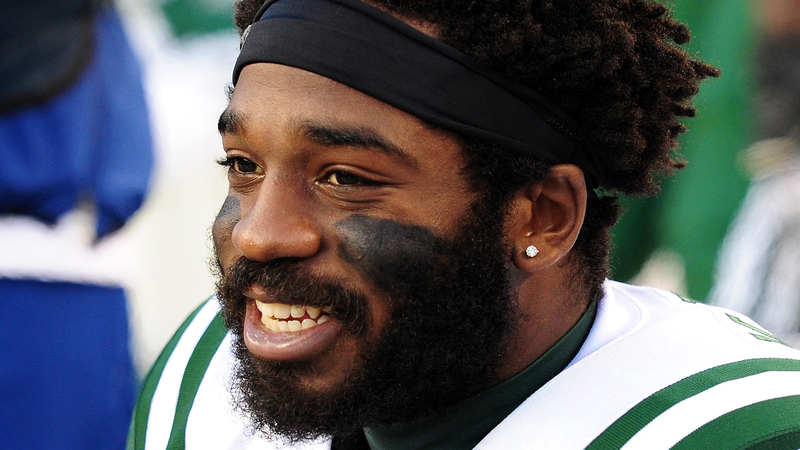 Why was the death of Joe McKnight manslaughter? On a roadside in a New Orleans suburb, Ronald Gasser shot and killed unarmed 28-year-old Joe McKnight in an incident the Jefferson Parish Sheriff’s Office is calling “road rage.” The decision to release Gasser just hours after shooting the former NFL running back ignited nothing short of rage. Even though the 54-year-old white telecommunications expert is now in custody, the initial decision to release Gasser and the ultimate decision to charge him with manslaughter raise sincere concerns as to whether justice will be done in the Dec. 1 death of the young black athlete. Over the past four days, the sheriff’s office has continued to suggest that the “stand your ground” law justified initially releasing Gasser. Well, it didn’t. “Stand your ground” is often misunderstood. It is not a license to kill in a fight. Rooted in 17th century English history, the law sits under the umbrella of self-defense. Back then, in order to claim self-defense, an individual facing a threat had to at least try to retreat if the option was available. This rule applied unless the individual was in his own home. In that case, he could stand his ground and use deadly force without having to back down even if he could safely retreat. This is often called the “Castle Doctrine.” Around 2005, that doctrine was expanded in 33 states to allow individuals to use deadly force outside of the home. Joe McKnight #25 of the New York Jets watches the action against the Philadelphia Eagles at Lincoln Financial Field on December 18, 2011 in Philadelphia, Pennsylvania. Today, the basic “stand your ground” law, including the law in Louisiana, allows a person to use deadly force to defend himself – in his home and in public – without having to back down if a reasonable person under similar circumstances would think his life was in mortal danger. That means for “stand your ground” to even be in the conversation, it must seem credible that deadly force was necessary to survive. When the sheriff’s office released Gasser, it didn’t have the basic information to know if this threshold had been met. Sheriff Newell Normand admitted during a Dec. 2 news conference that his office was still conducting witness interviews and gathering the evidence necessary to determine if it was reasonable for Gasser to believe he would die unless he killed an unarmed man at 2:43 p.m. in broad daylight in a busy intersection. The sheriff did know that Gasser had been arrested in 2006 for attacking another driver in a road rage incident near that same intersection. Yet the sheriff released him anyway. This wasn’t Florida. There the law restricts police from immediately arresting a killer who makes a reasonable claim to have stood his ground. (That’s why George Zimmerman wasn’t arrested right after he killed Trayvon Martin.) But the Bayou State doesn’t have that kind of restriction. Cardell Hayes knows that well. The 29-year-old black tow-truck driver is standing trial for fatally shooting former New Orleans Saints defensive end Will Smith in a road rage incident back in April. Police have kept Hayes in custody since the night he killed Smith in New Orleans. Hayes was held for approximately three weeks before being put on a $1.75 million bond and charged with second-degree murder, a crime that carries a minimum life sentence without parole and requires a specific intent to kill. By charging Hayes with murder in the second degree, the authorities are basically saying they believe his goal was to kill Smith and he has no mitigating excuse. Gasser, on the other hand, was released after admitting he killed McKnight and, when he was arrested on Dec. 5, he was given a $500,000 bond and a manslaughter charge. This charge is a lesser charge than second-degree murder: It carries a maximum sentence of forty years in prison and requires a provoked loss of self-control. Charging Gasser only with manslaughter says police think Gasser intended to kill McKnight but because McKnight had pushed Gasser to an extreme. Basically, based on the two different charges, law enforcement is saying Gasser is less blameworthy for taking a life than Hayes. So why was Gasser, someone with a record of unreasonable road-rage-induced violence, released just hours after admitting to killing an unarmed man while the investigation was in its infancy? Why was Gasser arrested only after public outcry, held on a minimal bond and given a lesser charge than second-degree murder? My answer: Because Gasser and his version of the events have been given the benefit of the doubt while Hayes and his have not. Unfortunately, research on justifiable homicide and race indicate that this wouldn’t be unusual. 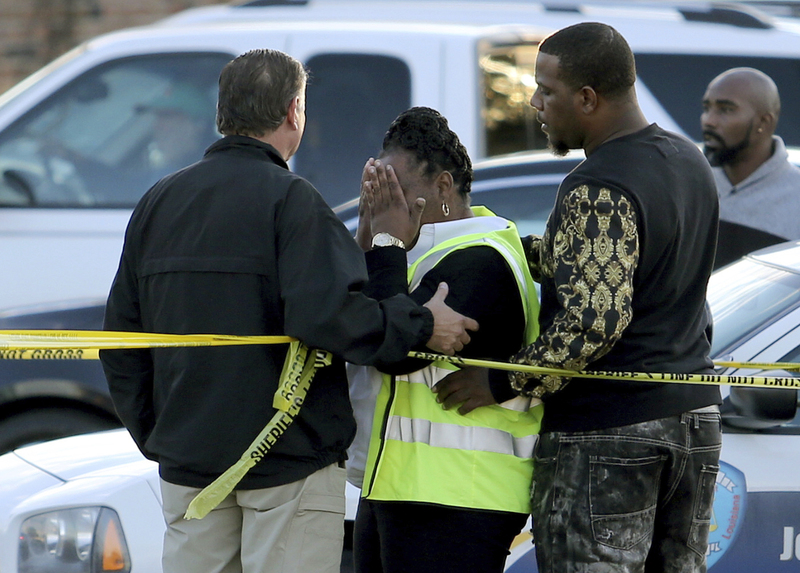 Jefferson Parish Sheriff Newell Normand consoles a woman at the scene of former NFL player Joe McKnight’s homicide as the Jefferson Parish Sheriff’s Office investigates in Terrytown, La., Thursday, Dec. 1, 2016. Statistics show that the justice system is far more inclined to excuse whites in instances where they claim to have been justified in killing blacks. In a 2013 report analyzing FBI data, researchers at the Urban Institute’s Justice Policy Center found that across the nation white-on-black homicide was 281 percent more likely to be deemed justified than white-on-white homicide. In “stand your ground” states, that percentage jumped to 350. All the while, black-on-white homicides — which were least likely to occur overall — were also the least likely to be excused as justified. A study of 235 “stand your ground” cases in Florida also found that race played a role in whether the killer was convicted. The research revealed a killing was 73 percent more likely to be found to be justified when the victim was black than when the victim was white (59 percent). While every homicide and the facts surrounding them are different, the numbers would indicate that race plays a significant factor in who is and is not entitled to stand their ground in America. After the legal process plays out, we’ll learn whether Gasser is among those the law lets stand their ground. In the meantime, we can only garner from his initial swift release and subsequent minimal charge that at least Louisiana authorities think Gasser has a leg to stand on.